A major event focused on the development of the hospitality industry in Saudi Arabia will be held in Jeddah next year. Centre for Forums and Events. The Government-led initiative seeks to double the number of hotel rooms in the Kingdom by 2030 to cater for a surge in tourists. This year, a JLL report prepared ahead of The Hotel Show Saudi Arabia 2016 forecast that Jeddah’s hotel room inventory alone will double by 2018. 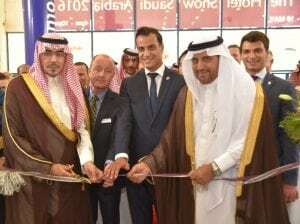 Suzara added: “Some of the most popular sectors at the annual Hotel Show edition in Saudi Arabia are technology, interiors, lighting and design, cleaning and laundry, and advancements in HORECA for: hotels, restaurants and cafes. Saudi Arabia’s infrastructure already includes the largest mosque in the world. The world’s biggest hotel, Abraj Kudai, is forecast to open 10,000 rooms to the public in Makkah next year. The Hotel Show Saudi Arabia 2017 is set to continue its momentum as the Kingdom’s leading event for 1000s of hospitality industry professionals to source new products, network and learn about the latest industry trends.